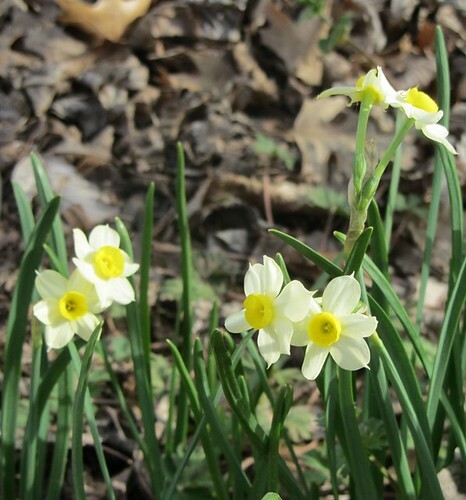 They did not bloom in 2015. 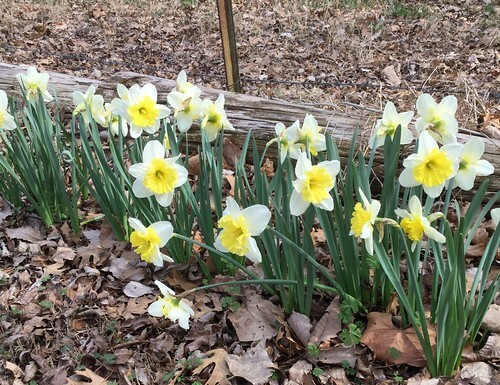 In mid March 2016 some in the middle of the row bloomed and appear to be Slim Whitman. 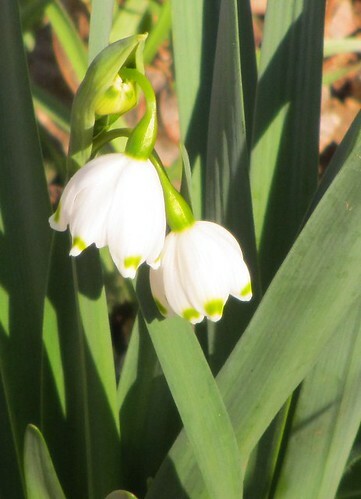 Will have to wait for the others to bloom to make any more statements. 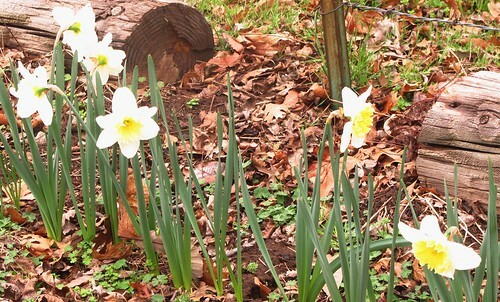 This planting is in the Front Yard garden . Try for a seed spacing of at approx. 3.9 inches (10.0 cm) and sow at a depth of around 5.85 inches (15.0 cm) if planning to sow direct. normally grows to a max height of 1.36 feet (that's 42.0 cm metric) so ensure you have enough space in your garden for this plant. 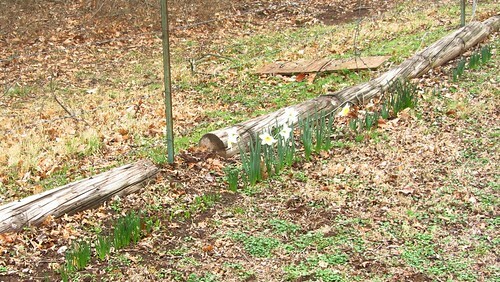 Your garden is in don't know light: Daffodil likes a position of partial sun. 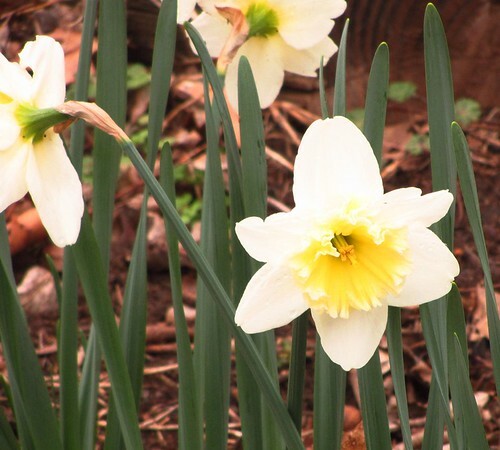 Your garden's USDA Hardiness Zone (6b) is within the ideal range for Daffodil. The recommended range is between Zone 4 and 8. 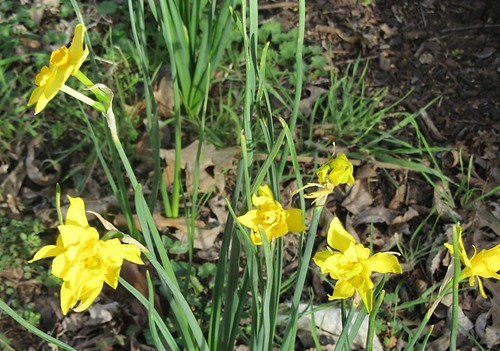 More information about Daffodil Row along Corps Land Fence is available in the Folia gardener's wiki. 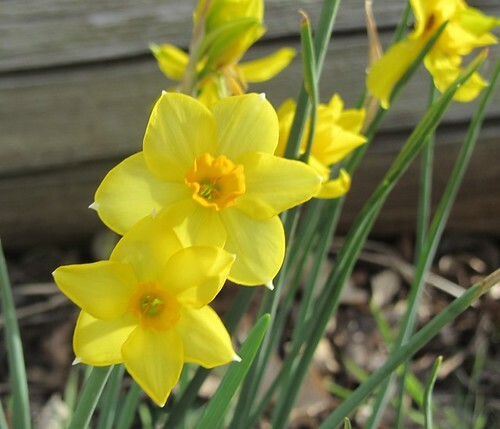 All Daffodil Row along Corps Land Fence Care Instructions have been kindly provided by our members.